Hubby decided to do a reunion with old friends and workmates last Friday at Pocco Deli. Situated in Kapitolyo drive, this deli is located near Charlie’s Burgers. We’ve been frequenting this quaint deli for some time now. Hence, I think it deserves a post in this blog. Since there were around 15 or so of us, hubby had the room inside reserved. 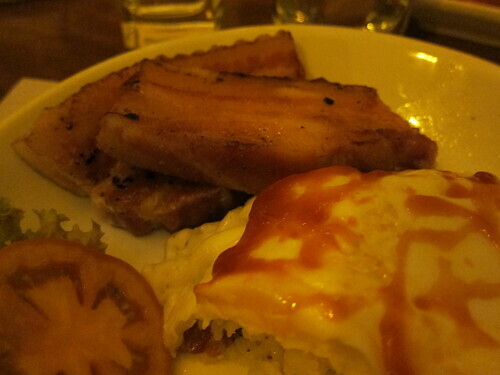 This place is known for its sausages, pizza, pasta and select Filipino / Spanish dishes. It also has a good selection of wine, cheeses and a variety of gourmet beer. The place is rather small and can probably accommodate around 30 or so people only. I love the ambiance of the place with its wooden benches and tables, antique glass bottles and blackboard specials for the day. The group ordered a variety of food. 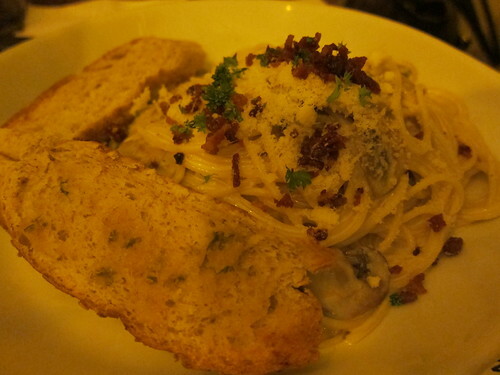 The dishes that had the most orders were the Bacon Belly and their Mushroom Pasta in Truffle oil (not in the menu but can be specially ordered). 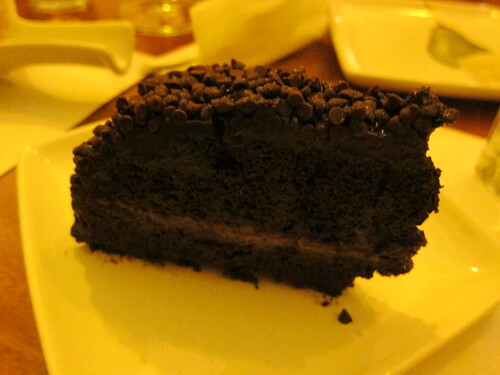 I love their blackout chocolate cake. This alone makes the trip so much worth it! I’ve yet to try the Red Velvet Cake, they said it’s good as well. I’ve tried their callos before and also loved it. Also to try are their sausage and cheese platters. In front of the restaurant is a chest freezer where they sell Dave’s Youghurts (worth a try also! ).